Often overlooked are the five key components necessary to support implementation: people, resources, structure, systems, and culture. All components must be in place in order to move from creating the plan to activating the plan. The first stage of implementing your plan is to make sure to have the right people on board. The right people include those folks with required competencies and skills that are needed to support the plan. In the months following the planning process, expand employee skills through training, recruitment, or new hires to include new competencies required by the strategic plan. You need to have sufficient funds and enough time to support implementation. Often, true costs are underestimated or not identified. True costs can include a realistic time commitment from staff to achieve a goal, a clear identification of expenses associated with a tactic, or unexpected cost overruns by a vendor. Additionally, employees must have enough time to implement what may be additional activities that they aren’t currently performing. Set your structure of management and appropriate lines of authority, and have clear, open lines of communication with your employees. A plan owner and regular strategy meetings are the two easiest ways to put a structure in place. Schedule meetings to review the progress monthly or quarterly, depending on the level of activity and time frame of the plan. Both management and technology systems help track the progress of the plan and make it faster to adapt to changes. As part of the system, build milestones into the plan that must be achieved within a specific time frame. A scorecard is one tool many organizations use to incorporate progress tracking and milestones. Create an environment that connects employees to the organization’s mission and makes them feel comfortable. 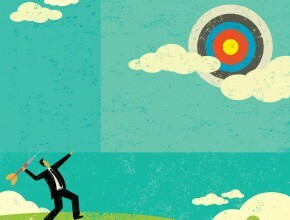 To reinforce the importance of focusing on strategy and vision, reward success. Develop some creative positive and negative consequences for achieving or not achieving the strategy. The rewards may be big or small, as long as they lift the strategy above the day-to-day so people make it a priority.